Spc. 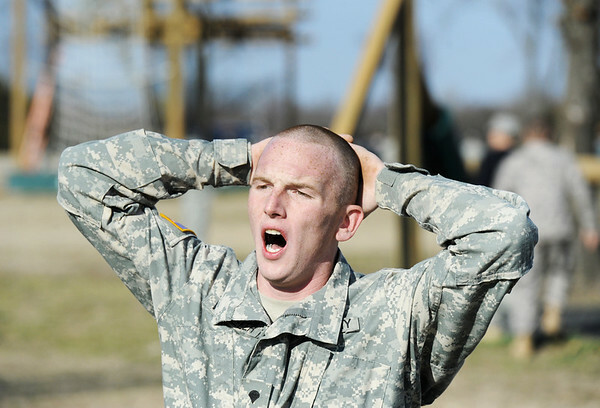 Nicholas Wheeler, of Kansas City, Mo., yells out "Air Assault" as he maneuvers through an obstacle course Tuesday morning, Feb. 28, 2012, with the Army National Guard at Camp Crowder in Neosho. About 200 soldiers started their air assault training.